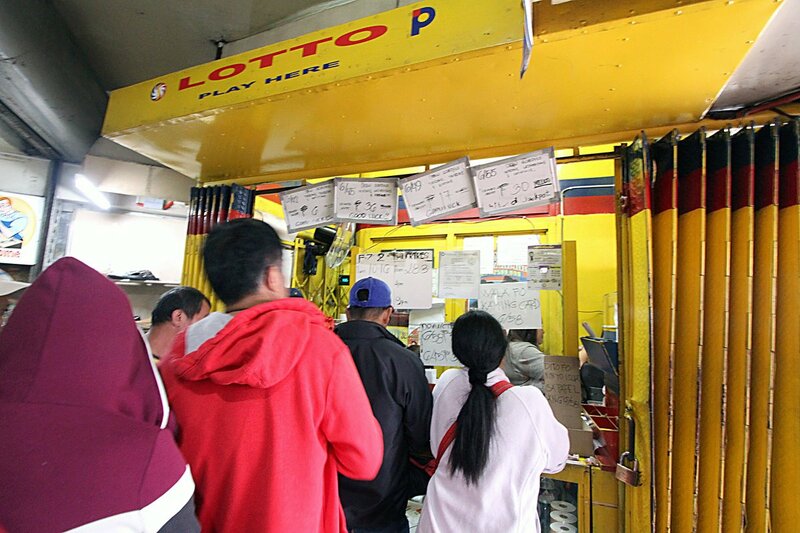 MANILA, Philippines – Over Php 1 billion jackpot prize is still for grabs in the Philippine Charity Sweepstakes Office (PCSO) Ultra Lotto 6/58 draw tonight, October 14, 2018. The pot money, estimated to reach nearly 1.2 billion pesos, is the highest jackpot in the history of Philippine lotto. As more and more Filipinos are getting hooked to 6/58, the pool grows bigger if there's no winner of the draw. Here are the official draw results. Official PCSO draw result October 14, 2018. In the Ultra Lotto, there are 40,475,350 possible combinations. To win, a bettor must select 6 numbers from 1 to 58 or play Lucky Pick (LP) for a randomly generated numbers. Ticket price is at P24. According to PCSO website, bettors who get 5 of the 6 winning numbers may win up to Php280,000.00; 4 correct numbers may win up to Php3,800 and 3 of the 6 numbers is equivalent to Php20. 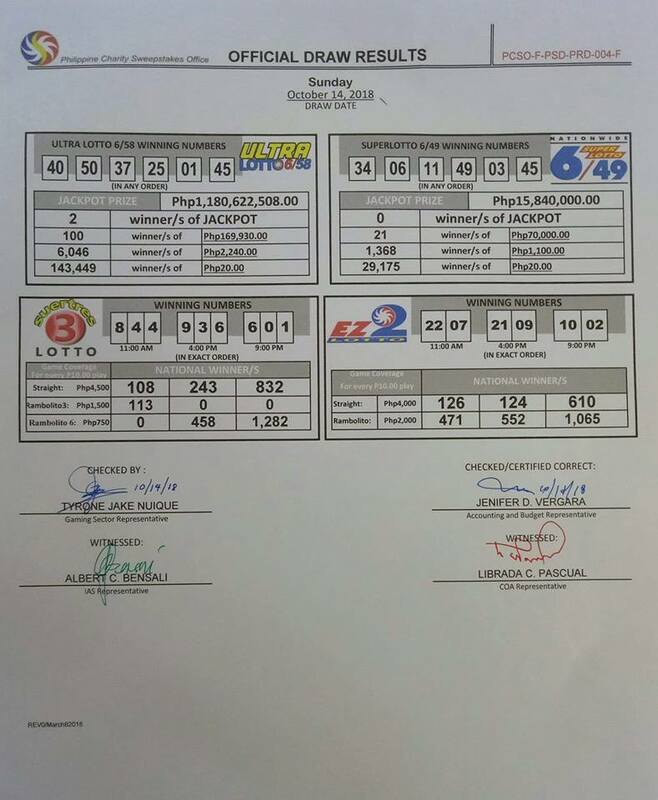 The Ultra Lotto 6/58 was last won on February 16 by two bettors, who shared a jackpot of P331.9 million. Meanwhile, the last biggest win was P741 million in the Grand Lotto jackpot on November 29, 2010. A Filipino balikbayan from Olongapo City won that huge prize. His winning combination was 11-16-42-47-31-37. PCSO is the government agency tasked to raise funds to support health programs, medical assistance and services, and various charities. To do this, PCSO holds charity sweepstakes, races, and lotteries and invests in other activities for continuing sources of funds. For every lotto ticket you buy, 15 percent goes to PCSO income, 55 percent to prizes and the balance 30 percent to charities.